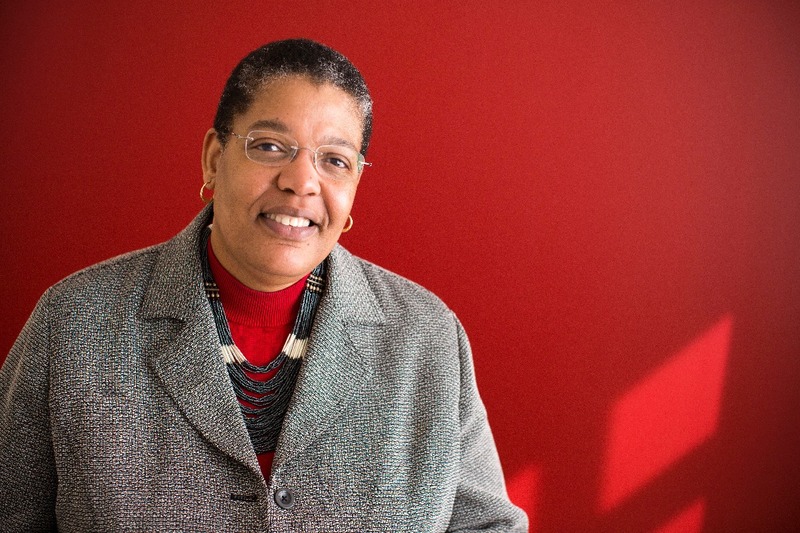 Michelle A. Williams has been appointed dean of the Harvard T.H. Chan School of Public Health (SPH), filling the vacancy created when Julio Frenk departed last summer to assume the presidency of the University of Miami. Williams will be familiar to many members of the SPH community: she is the school’s Kay Family professor of public health and professor of global health and population, and chair of the department of epidemiology; and she is a graduate who earned her S.M. in population science in 1988 and her Sc.D. in epidemiology in 1991. She will become dean in July, succeeding Gregory professor in cancer prevention and dean for academic affairs David Hunter, who has served as acting dean since last August. The appointment comes at an important time for Harvard’s Longwood Medical Area: both SPH, until today, and Harvard Medical School have been in the process of transitions to new leadership. Both are, obviously, pursuing ambitious capital-campaign objectives (read about SPH’s campaign here and here—and about the $350-million unrestricted-endowment gift that essentially transformed its finances; read about the medical campaign here). In the wake of reduced federal support for sponsored research, the medical school, particularly, has been running at a deficit, but both schools are heavily dependent on research grants (the source of 67 percent of SPH’s operating revenue in fiscal year 2015—by far the largest proportion among all of Harvard’s faculties). And although their disciplines differ, the two schools’ faculties collaborate extensively (see below about some of Williams’s interfaculty activities). Frenk, former minister of health for Mexico and an architect of that country’s move toward universal health coverage, brought particular expertise to the last of those priorities. Williams’s work suggests hands-on exposure to and engagement with elements of the first three priorities. Her research has focused on maternal and infant mortality and health. According to the description on her faculty profile, “I have spent the last two decades focused on integrating epidemiological, biological and molecular approaches into rigorously designed clinical epidemiology research projects that have led to greater understandings of the etiology and pathophysiology of placental abruption, gestational diabetes, and preeclampsia.” That research has spanned North America, sub-Saharan Africa, Asia, and South America—useful experience for the leader of an especially international school. She is also an affiliate of the Medical School’s division of sleep medicine, as an outgrowth of her work on perinatal outcomes. She appears here talking about stress and health. And she is faculty director for the Harvard Clinical and Translational Science Center’s program on health-disparities research and for the population health-research program. A 1984 graduate of Princeton, where she studied biology, Williams earned her M.S. at Tufts in 1986, in civil engineering and public health. She did a postdoc at the University of Washington School of Public Health and Community Medicine, and joined the faculty there in 1992. She was recruited back to Cambridge in 2011 to become chair of epidemiology. The University announcement cited Williams for the “creative integration of epidemiological, biological, and molecular approaches” in her public-health research, and for award-winning work with students. She received SPH’s Outstanding Mentor Award last year. Michelle Williams is an eminent epidemiologist, an outstanding teacher and mentor, and an energizing leader and institutional citizen, impassioned about the power of public health to change people’s lives for the better. She is a skilled builder of bridges—between the theoretical and the practical, the domestic and the international, the different disciplines that drive the school’s academic endeavors, and the different communities that shape its identity and aspirations. I know she will approach her new role with the intelligence, dedication, integrity, and humane spirit that she brings to all she does. I am honored and excited by the opportunity to lead the Harvard Chan School, and grateful to President Faust for inviting me to serve in this role at such a crucial moment for public health in the United States and around the world. As an alumna and faculty member, I have witnessed the transformative impact that this institution can have in education, research, and discovery related to the health of communities in need. We have an imperative to lead and to serve, and I am looking forward to working even more closely with the school’s faculty, students, staff, and alumni to build on the school’s achievements under Julio Frenk’s remarkable leadership and to advance our collective commitment to understanding and confronting public health challenges worldwide. Michelle has been a valued colleague since she returned to Harvard five years ago. Along with many others, I’ve come to admire her for her collaborative research, her mentorship of students and faculty colleagues, her work to strengthen her department, her contributions to shaping the new Ph.D. program in population sciences, and her important focus on health disparities through the Harvard Catalyst [the Clinical and Translational Science Center linked above]. I’m confident our school will be in excellent hands.